Who said drama was a bad thing? 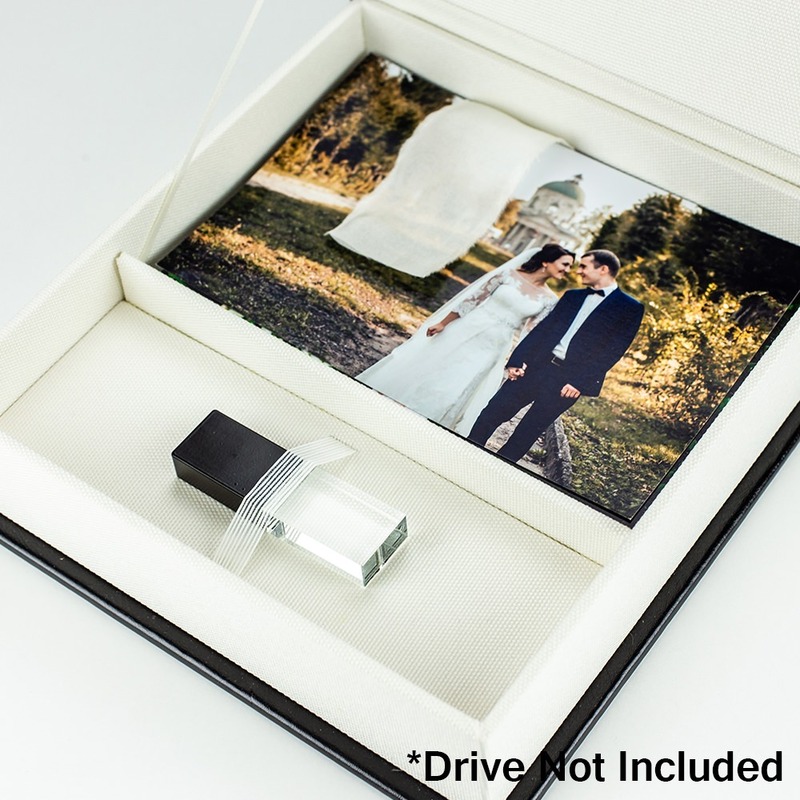 The Bespoke wedding USB presentation box is just the thing to make a special day even better. It stores both a custom flash drive and favorite stack of 5x7 photographs, ready to thumb through and reminisce. It also includes a fantastic video viewer for whatever customized visual experience you wish. 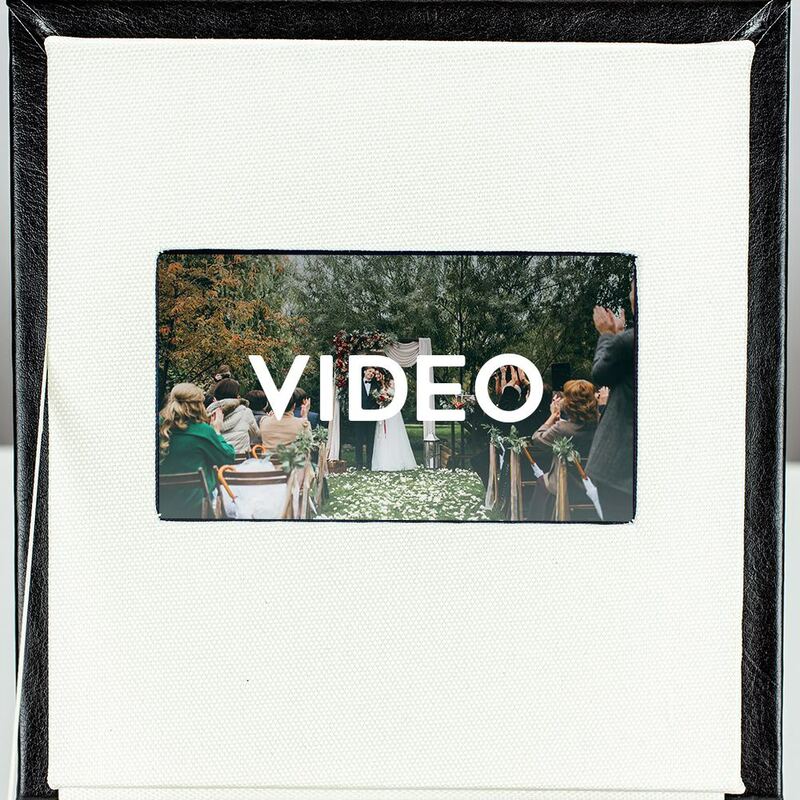 The video viewer has 512MB of storage and is standard definition. Data transfer and charging cable included. 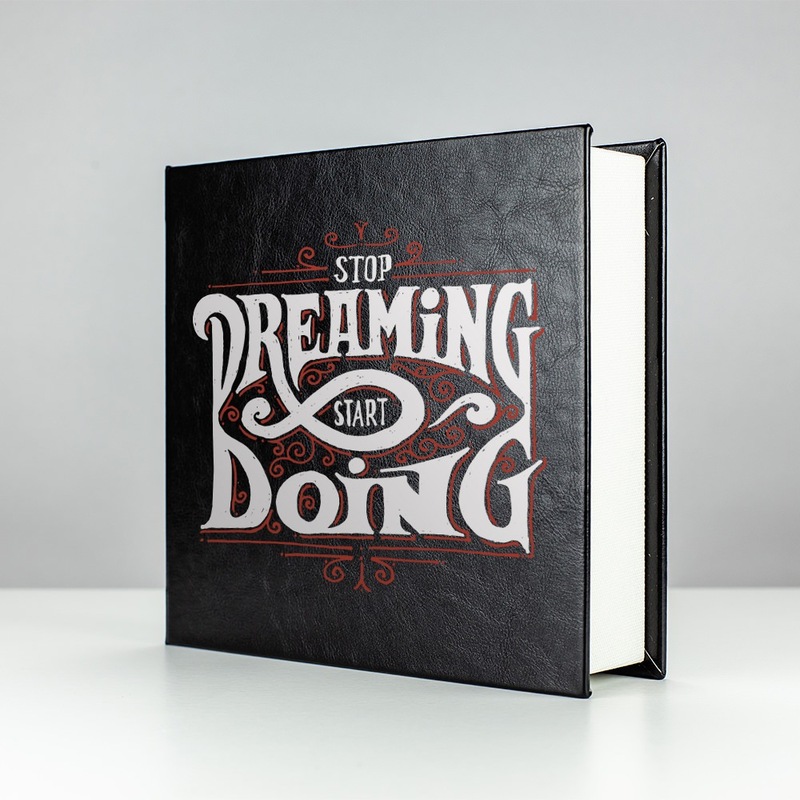 This box comes with custom printing so you can add your own special touch. For the ultimate customized USB box experience, you have to choose the Bespoke. Storage, good looks, and performance—this packaging has it all. 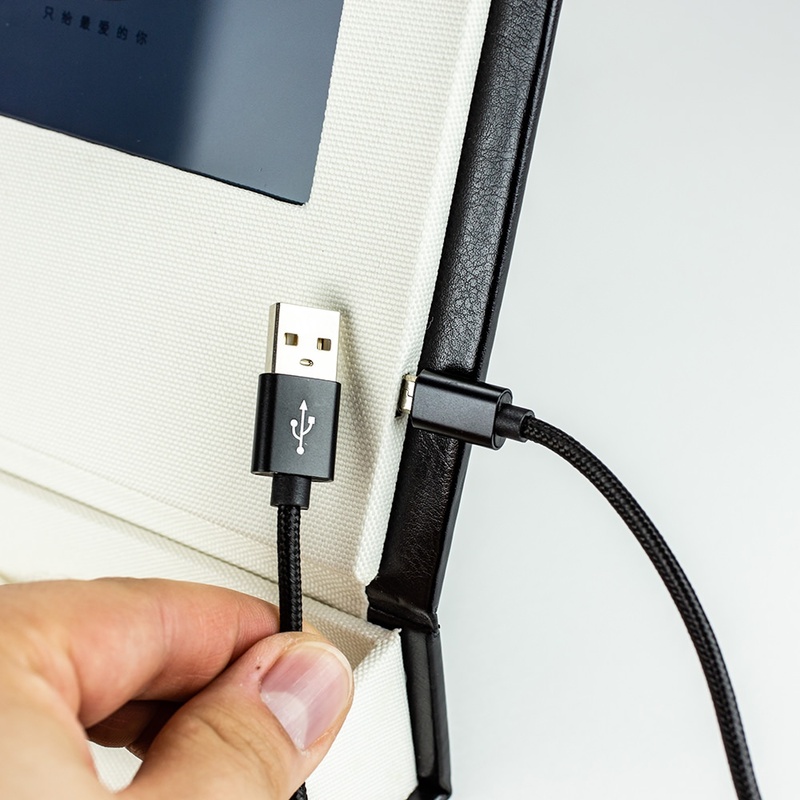 It comes in luxurious binding with matching interior in the flash drive compartment. A real silk ribbon is stitched in to offer a soft approach and gently lift photos from the box. This box holds your custom drive (not included), up to 150 5 x 7 photos, custom box printing for monograms and graphics, and a 5” video viewer in standard definition for that extra luxurious touch. Boxes can be purchased in bulk quantities.